Buy Comodo Essential SSL at cheapest price of $8/yr. Comodo Essential SSL certificate is a domain validation certificate that requires verification of domain name to issue the certificate. It is best SSL certificate for low volume websites who want to enable HTTPs. Comodo Essential SSL enables strong 256-bit encryption that will secure online information from snooping eyes. Comodo Essential SSL bestows more than 99% browser compatibility because Comodo root and intermediate certificates are already settled in many browsers, so you will never face SSL warning message. In Addition, you will get your cert instantly along with unlimited re-issuance, $10K warranty, 30 days refund policy. A free Comodo site seal helps to attract more customers to website. You can place Comodo site seal on any web pages of your website wherever you find it suitable. When customers realize that Comodo certificate authority has verified your website, they would like to interact with the website. As a result, it will enhance your business sales figure. Cheap SSL Shop is authorized re-seller of Comodo and selling Essential SSL at huge discounted price. Comodo validates your domain authorization that the verification process is automated. You do not require any paperwork to get your certificate hassle free and quickly. 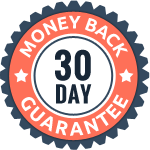 If you are not satisfied with the Essential SSL certificate, you will get back your full amount of money within 30 days of purchase. Comodo certificate authority acknowledged by all major desktop and mobile browsers such as Internet Explorer, Chrome, Firefox, Safari, Android, Opera, iPhone, etc. You will get relentless live support with your SSL purchase. 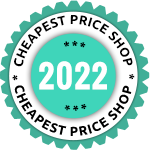 If you have any issues or question during a life cycle of the certificate, CheapSSLShop assures you to fix it. Get your domain certified by a reputed authority like Comodo and secure your customers with strong 256-bit encryption, make them relax about their online transaction safety. Comodo ensures about certificate validation and issuance process, therefore they provides $10,000 USD warranty on Essential SSL in the case of mis-issuance of the certificate.